On June 19, 2012, Microsoft finally unveiled its Surface series Table PC. Surface will provide RT and Pro two different versions: standard RT will use Nvidia ARM CPU and runs Windows 8 applications. DVD to Microsoft Surface Converter is popular worldwide and known for its easy to operate interface, fast speed in DVD copying and powerful functions. It provides 4 DVD copy modes, and can also rip any DVD to MP4, MKV, and M4V as well as rip DVD to MP4 videos for Microsoft Surface, iPod, iPhone, PSP, PS3, Xbox 360, etc. Choose output folder in "Target" , which is used to save the output video file for playback on Surface. You can keep windows default document folder or select DVD Folder from the drop-down list of the Target option to save the converted movie. Step 3: Click DVD Ripper, and choose classic mode. Keep the default output format MP4, which is supported by Microsoft Surface. Note: Users can freely choose Audio, Subpicture, Output Format, Title Start/End Setting, More Settings options to customize videos. The setting depends on the original DVD. 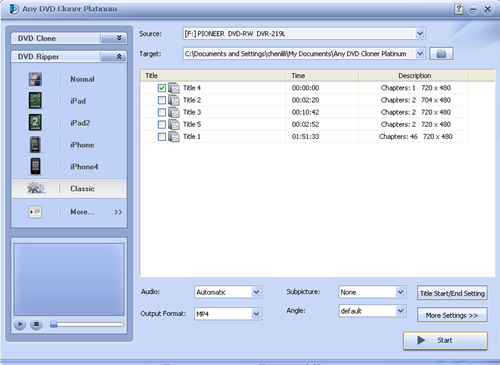 The Output Options allow users to customize their DVD videos and make DVD videos more family-friendly. After a while the ripping process will complete, then users can transfer the file to your Microsoft Surface and enjoy the movie! 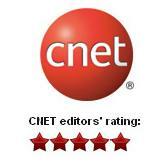 Published on June 19th, 2012, Microsoft Surface series Table PC has two version: Standard RT version and Pro version. 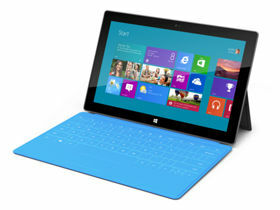 Microsoft Surface Pro is a full-functional shrink-version PC and use Intel third-generation Core i CPU. Except equipped with exquisite and user-friendly Touch cover which provides great convenience for users on typing. An outstanding feature of Surface series also uses a 10.6-inch optically bonded Clear Type display. The screen's 16:9 aspect ratio (AR) is identical to that of an HDTV, so many of your favorite movies and all newer TV shows will run in full-screen on the tablet, with no stretching or letterboxing. This feature definitely makes Surface a great mobile DVD player. Users can enjoy a visual and andauditory feast of DVD movies.